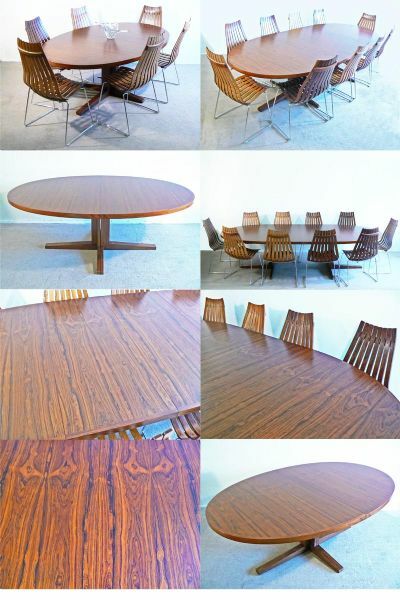 A large rosewood dining table, model No. HM55. Made in Denmark by Heltborg mobler and designed by John Mortensen. An absolutely stunning, table with a vivid grain. Seats ten comfortably when extended. In superb condition having been fully restored.